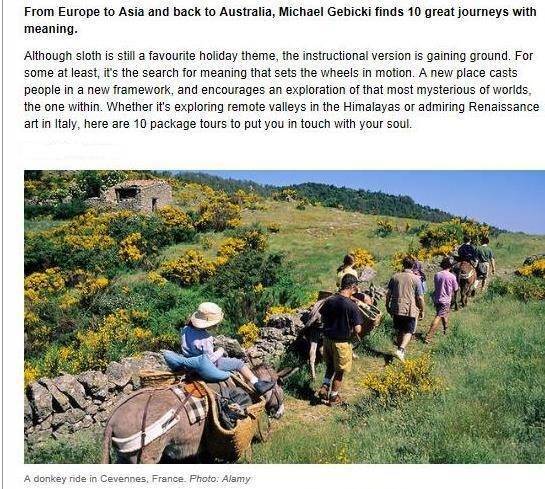 he Sydney Morning Herald recommended The Enlightened Traveller on March 9th 2013 as the tour operator for walking The Robert Louis Stevenson Trail in Cevennes, France. he Enlightened Traveller is morally opposed to giving journalists a free tour in order to generate positive copy and endorsements – there’s no such thing as a free lunch! However, when a respected writer provides an independent testimonial about our tours, we are delighted to bring it to the attention of existing and future customers. We simply reproduce below the part pertinent to ourselves, as the article dealt with ten worldwide adventures. Moreover, we have chosen NOT to link through to the Sydney Morning Herald itself: those savvy or budding webmasters out there will already know that one-way incoming links are worth much more to a company’s reputation that a mutual exchange of links. 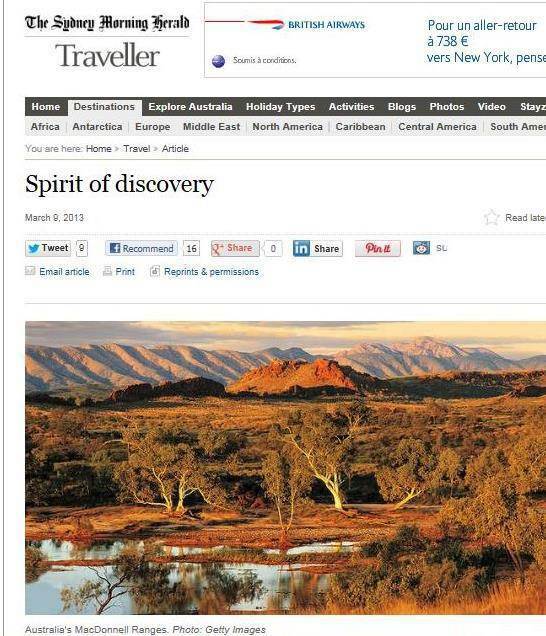 Alternatively, the article has also been reproduced on this Australian site called The Traveller and can be read by clicking HERE. Happy reading, enjoy the site and please join us in The Hexagon on whatever tour that takes your fancy! Walk The Stevenson Trail with The Enlightened Traveller.